We received the sorrowful news this morning, February 14, 2019, of the sudden death of our young confrere, Bro. Ajin George Moolakkunnel of the Quasi Province of St. Thomas. He died due to heart attack during breakfast as the community of students were preparing to go to school. He was rushed to a nearby hospital, but all means of reviving him was in vain. He was just 22 years old. Bro. 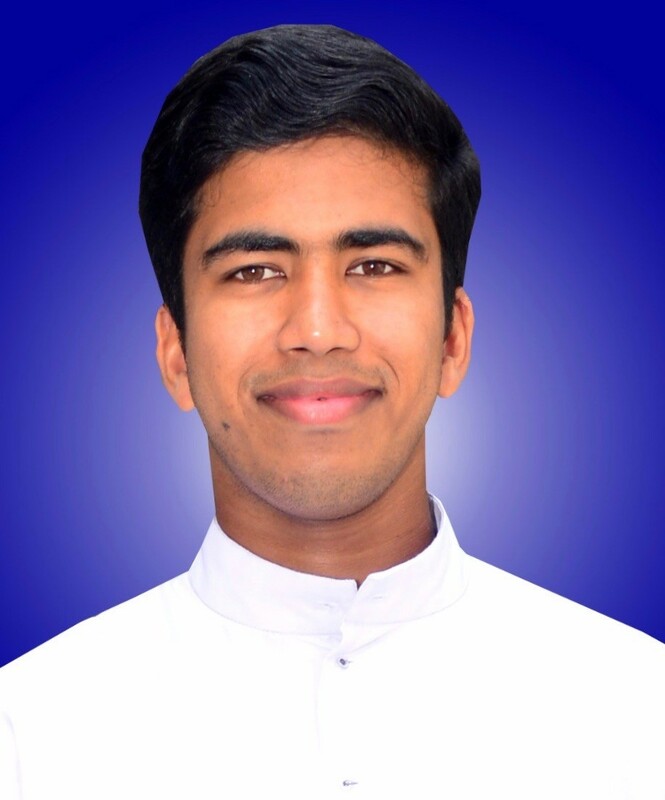 Ajin was born in Kannur, Kerala, India in 1996, entered our seminary in Aiumry in 2012 and professed his religious vows at the Rogate Ashram, Aluva on May 16, 2017. He was in his second year of Rogationist religious life and in the second year of Philosophy in Aluva. Our very close friend Bishop Thomas Chakkiath will celebrate the Mass today at the Chapel fo the Rogate Ashram. The funeral is set on February 15, at 3:00 PM, in Bro. Ajin's parish of St. Thomas Church in Kannur, to be presided over by Bishop Joseph Pamplani, Auxiliary Bishop of Thalassery. The Superior General, Fr. Bruno Rampazzo, has sent a message of condolences to the Quasi Province and to the loved ones Bro. Ajin has left behind.